For many businesses, social media is just another box to tick in a long list of sales and marketing tasks. But without the right investment of time and (possibly) money, it’s in danger of being an expensive mistake. Most business generally accept these days that social media is a vital element in their sales and marketing strategy. But often just see it as another box to tick off – something to ‘get done’ so they can forget about it and move onto the next item on their list. And all too often this non-strategy leads to an (expensive) failure. Since we started learning about social media, we’ve been approached by people wanting us to help them achieve the same success. We’ve also spoken to people who have looked for the cheapest option to outsource their social media, in the hope some kind of magic will be worked with little outlay or effort. But here’s the thing. Social media isn’t cheap – or at least done properly it isn’t. It takes a LOT of time and thought. And whether it’s you spending hours on it, or paying someone else to do it, you’re not going to achieve success overnight on a shoestring budget. Of course there are plenty of companies out there willing to take your money and promise you big things. I looked at their own Twitter profile and noticed that they themselves had several thousand less followers than us, and yet they were positioning themselves as experts we could trust. Unsurprisingly we decided not to take up their irresistible offer, but many other businesses had. So, if there are so many pitfalls in managing a social media campaign for your business, how do you know what the best decisions are, and who you can trust to help? 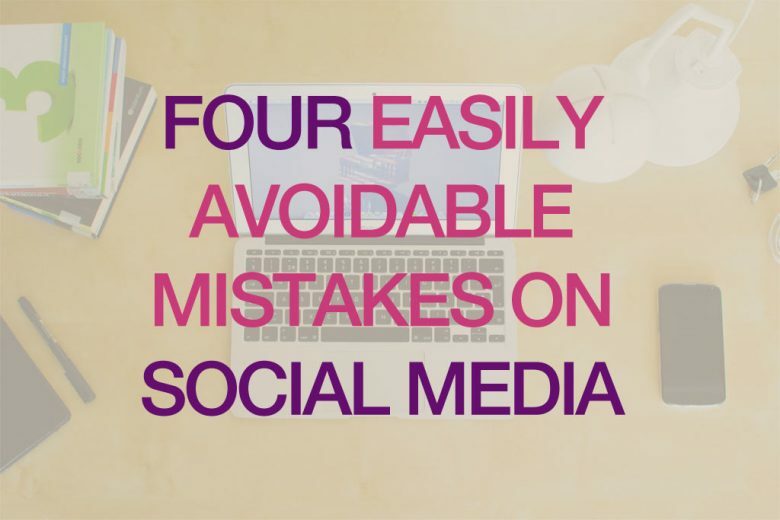 To help you, here are four of the most common mistakes businesses make on social media, and some tips on how to avoid them. 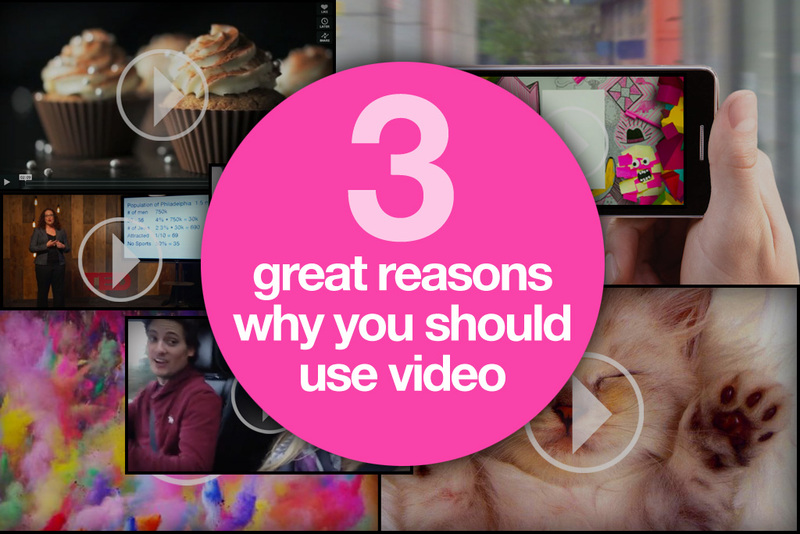 There are plenty of social media platforms to choose from – and choose you should. The chances are, like us you don’t have the time or budget to get good at them all. And probably your audience aren’t on all of them anyway. So before you launch yourself onto social media, do a bit of research. Work out where your audience are (checking out where your savvy competitors are investing their time is a good start) and go there. We generally recommend sticking to a maximum of two social media platforms if you can, and directing your time and effort at doing them brilliantly, rather than spreading yourself too thinly across more. It takes a LOT of time (or money) to build and engage with an audience on social media, so don’t make your job any harder than it is. You may well want to shout from the rooftops about how amazing your products or services are, but try to resist the urge. Instead think about who you want to reach, and what they want to see, read or interact with on social media. Then find ways to give them that – while weaving in your own sales message. If your social media posts are all self-serving broadcasts, then you won’t build much of an audience. But if you share things that are genuinely interesting and helpful to the people you want to connect with, they’ll listen. This means sharing content from other business and websites, and positioning what you are promoting in a beneficial way too. Looking for useful business tools? Find out which are the best value! Which tweet do you find the most interesting? They’re both leading to the same content, but while one is very ‘us’ focused, the other is turning the content into a benefit for the reader. One of the first things I learned as a trainee copywriter nearly 20 years ago was to make good use of the word ‘you’. 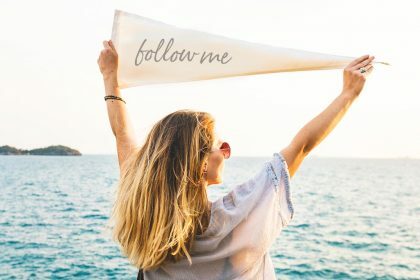 If you are writing sales copy (and any promotional social media message is sales copy – whether it’s leading directly to a sale or not), you want to connect with someone. To talk to not at them. It’s natural as a business to think about what you are offering and to tell people about it. But if you can spin your social media updates around, and instead put yourself in the shoes of your potential customer, they’ll have much more impact. What problem does this solve for someone? How are they feeling right now? How will this make them feel? What results can they expect? Why might they be looking for something like this? If you can get inside the mind of your social media audience, and understand their problems and needs, you can write updates that identify with how they are actually feeling, and offer more authentic solutions that they’re much more likely to click on and buy. The point of social media is that it’s social. And that means not just broadcasting messages, but engaging with people. And to authentically engage while building your business’ reputation or brand you need to have a clearly defined tone of voice and stick to it. Every follow, share, update, reply and even retweet must be on brand. What do we mean by this? Let’s say you have a business selling handmade, wooden baby toys. Your customers are affluent parents who are interested in giving their children the very best start to an environmentally thoughtful life. Retweeting articles about child development, stories about childhoods in different parts of the world, ethical clothing brands and organic food would be relevant and on-brand. Your audience would appreciate the tweets and think more highly of your own company for finding and sharing them. However if you suddenly start retweeting content relating to fast food, 80s heavy metal, bad taste jokes, cheap celebrity culture and politicised messages, you’ll probably find people unfollowing you at a fast rate. Your feed will be irrelevant to them in this context, and they may not relate to the values – which they will attribute to you. So you see, it’s important to think about every single thing you do on social media (even the content you share from other users) and ensure it’s in line with your business brand and values – and is interesting and relevant to the people you want to attract. There are lots of great companies out there offering really good value social media packages. But there are also lots of chancers jumping on a profitable bandwagon. So how do you tell the difference? 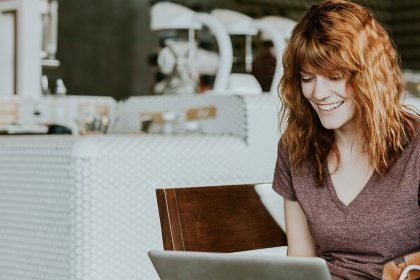 If you recognise that social media is important for your business but don’t have the skills, time or inclination to learn how to apply it for yourself, then it’s wise to outsource it. But make sure you get value for money. A reputable social media company will take the time to find out what you do, who your audience are, where they are on social media (and that’s not necessarily the obvious places), and what your objectives are. They’ll ask and research all of this before suggesting a tailored strategy for your business. What they probably won’t do is simply email you a price list of packages of X tweets or Facebook posts a week and ask you to pick one. 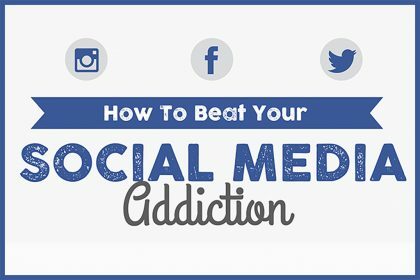 Paying out for social media help should be an investment. And this means that you should be able to track almost every piece of activity back to a tangible benefit to your business – either through brand and awareness/audience-building or direct sales. You don’t just have to pay out passively for social media either. Over the past year, a few businesses have asked me to run their social media for them. But after taking on one company’s accounts I realised it wasn’t great value for them. Instead, I worked with them to research and develop a tailored social media strategy – then taught them how to manage it themselves. It’s a bit like the choice of feeding someone for life, or teaching them to fish just once. Getting to grips with social media doesn’t have to be that complicated when you have the right foundations, and understand the underlying etiquette behind each platform (many of which share four common principles – which we explain in this video). So, if you have the time and inclination to handle your own social media campaign, you can always hire a company to teach you. After all, no one knows your business (and possibly your customers or clients) better than you. So if you’re thinking about social media, or are already using it, don’t make it just something to ‘get done’. Put genuine thought, time and effort into it and avoid these four common mistakes. With the right approach (and wise investment if needed) social media can help to significantly raise your business profile and sales – and repay your efforts many times over. 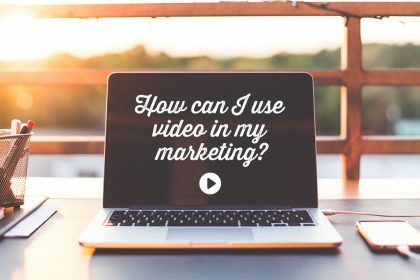 How can I use video in my marketing if I only have a tiny budget?